This thread is the place to discuss and share information about FrSky's Taranis transmitter. For specific Taranis technical questions, we suggest you check the FAQ thread. 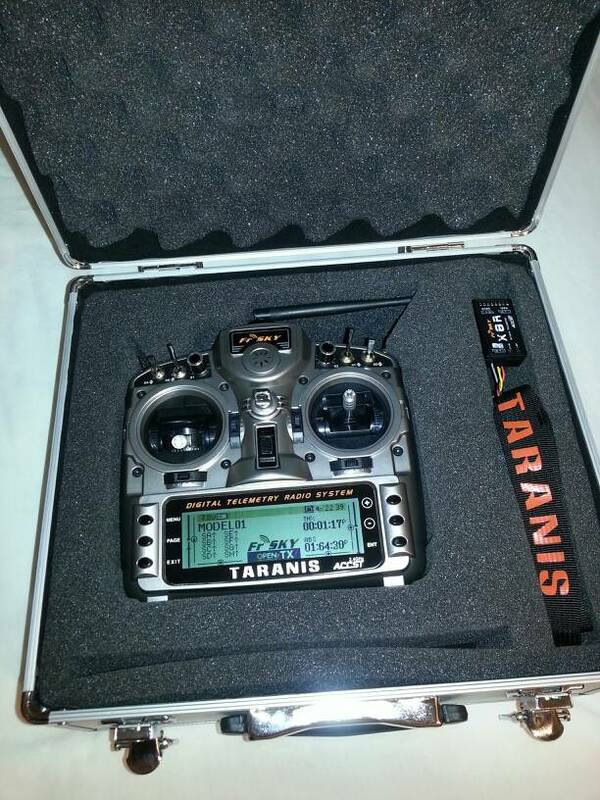 FrSky is unveiling the Taranis tomorrow at the Toledo Model Expo. As many of you know, this is an impressive radio that has features beyond most any other radio on the market, and certainly has no comparison for its price point. It's no wonder people have been excited about this new transmitter. This hobby has never seen a more powerful radios that is also very affordable. 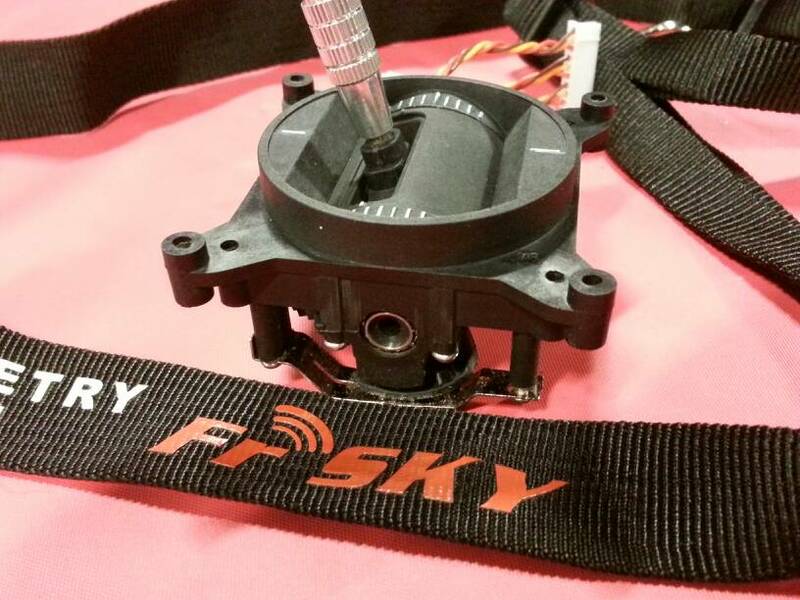 FrSky has an excellent reputation for building high quality, highly reliable telemetry systems. The Taranis takes everything they have learned and pushes it to the next level! Affordable...What is the cost Wayne? Please share. I have limited access to artwork, so here are a couple of cell pics. OH, just give me one. Put me on the list, I can't take it anymore!!! I'm just a FrSKy addict. Your wait is nearly over! I'll be editing this post as I make new videos to explain or show features of the FrSKY Taranis, or CompanionTX (I've omitted the http:// so the videos don't embed here) I'm making some quick videos to help people understand this revolutionary new product and it's associated Software. This Video is a demonstration of how to prepare a sound and save in the format that OpenTX can use. Specifically WAV_Alaw or WAV_Ulaw. The program I'm using for this is Audacity. It's a free program and has some nice features including the ability to edit sounds, record sounds, concatenate sounds, and clean up the audio. This video is done entirely in the TX simulator - with no use of the Open9x companion. I start from scratch and set up a 5 channel airplane with throttle, elevator, rudder, and two ailerons, each on a separate channel. I then add two different rudder mixes in which placing switch E in the up position will give 20% opposite aileron to the rudder and switch E in the middle position will give 10% opposite aileron to the rudder. Switch E in the down position will be the default with no coordination between the mixes. This video is using OpenTX however it's specifically for the 9x radios. As it's not for the Taranis -- I hesitate putting it in this thread - but it is pretty comprehensive on the use of OpenTX so I'm going to take a chance. First look inside of the Taranis. How to convert from Mode 1 to Mode 2 and back. Man have they made this easy. Also how to adjust tension on the on the sticks. 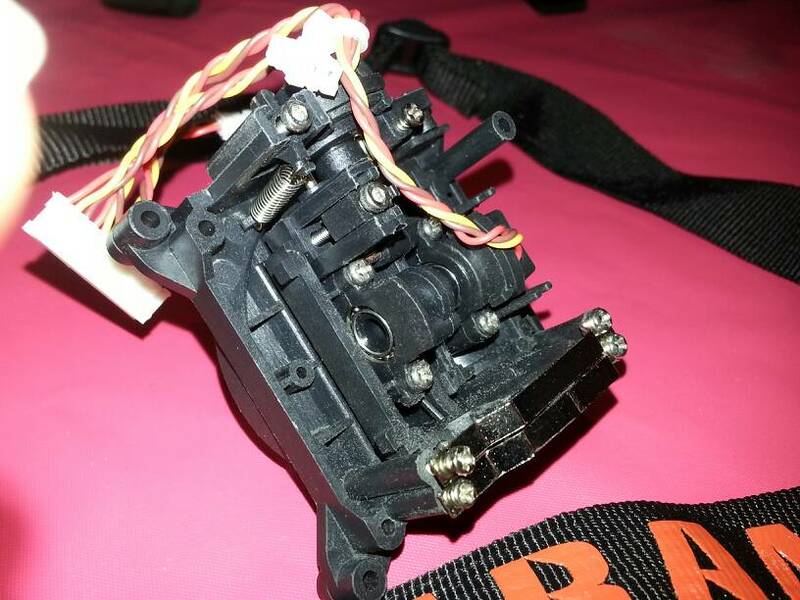 How to swap position of the Two Position Toggle (F) switch with the momentary switch (H). Last edited by scott page; Jun 29, 2013 at 01:37 AM. Just wondering, if the formula for the price is $100 + thread page count, does having a new thread lower the price? One radio to rule them all! Don't get your hopes up, remember this is the first of a couple of radios they're supposed to be working on. By the way, when is the other supposed to be released? Also, I want to see a video of someone flying a heli with this thing. Any videos yet? I can't make heads or tails of the telemetry reading on the fl screen yet, so that's not a big deal now, but I sure would like to see those videos eventually. I haven't used it much either so I'll have to try to figure them out later. Last edited by efx; Apr 04, 2013 at 10:53 PM. Don't get your hopes up, remember this is the first of a couple of radios they're supposed to be working on. By the way, when is the other supposed to be released? Also, I want to see a video of someone flying a heli with this thing. Any videos yet? What you need to remember is that this firmware has been used in what are basically prototype radios for many months -- specifically the sky9x upgrade. That upgrade (there were only about 200 made) gave the 9x radio most everything that the Taranis has and ran the same firmware. Ya, the Taranis has a Cortex M4 and the Sky9x has Cortex M3 -- but the voice, the telemetry, the haptic, and all of the mixing has been hashed and rehashed. Yes, last summer in early versions of the firmware I munched some planes. But Bertrand and Romollo have done an amazing job with that. The hardware is the big unknown, but it's been in the hands of some people with NDA's for a few months and they have been tight lipped about specifics, but - to a person -- are very optimistic about this radio. Functionality will be incredible and innovative. Hardware will be solid. The big unknown is the price, and if they can produce them fast enough for the market. My concern (for FrSKY) is that this is going to become a really major hit and they will be swamped with orders they can't fill fast enough. I have no qualms whatsoever about the hardware or firmware. It will be stellar. I agree. I ended up taking the telemetry screen off my 9x thats running a FRSKY module becuase it is just so akward and small. Really exited about the nice screen and voice warnings. I would be sold just with those, and the final ones are better you say? Ten times better than the gimbals Walkera uses in the Devo radios. Those things are just so flimsy looking internally you can see why they wear out after a year of heavy use. These look like they can stand up to heavy use. Does anyone know the full story behind the shell? It's obviously the same as the JR9503 shell. Did they license it from JR, or did JR have someone else make it and then FrSky came along and they sold it to them too, or what? Last edited by Atomic Skull; Apr 04, 2013 at 11:17 PM. Wayne I will probably order it thru you as our local frsky dealer does not seem to want to rush and stock it. Looking fwd to more info, especially price!